Have you applied for the IBPS Clerk examination and waiting for your preliminary exam 2018 CWE Clerk VIII admit cards? Here’s an update for you that the Institute of Banking Personnel Selection (IBPS) will be going to release the hall tickets just before 26th November, i.e. Monday. As per the official notification, the admit cards for IBPS Clerk will be released in November. So, all the interested candidates should keep their eyes on the official website as the admit card can be released at any time now. 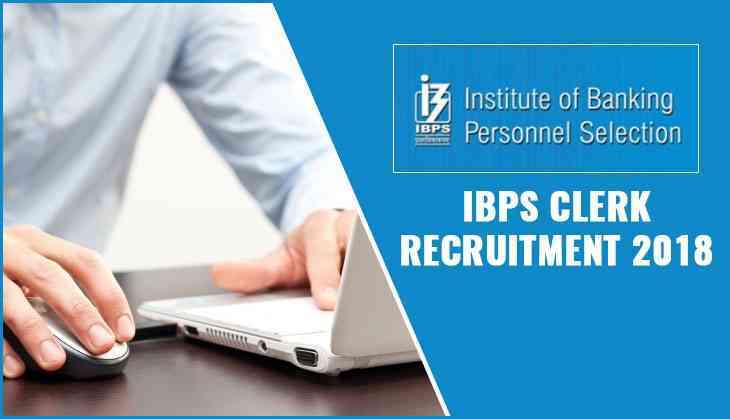 Under this recruitment drive, IBPS will recruit more than 7,260 candidates on the clerical post under this recruitment drive. IBPS will conduct the exam in two phases i.e. preliminary and mains. Candidates who will be able to clear the prelims exam will be eligible for the mains. Those candidates will clear the mains exam will be provisionally allotted to one of the participatory banks in the IBPS recruitment. IBPS will conduct the Clerk prelims exam on 8th, 9th, 15th and 16th December. The result for the same will be declared either in December 2018 or in January 2019. The provisional allotment will be given in the month of April 2019. Remember, all the dates are tentative. IBPS Clerk prelims exam will be held for a one-hour duration. There will be three sections in the exam. Each section will carry 100 marks for 100 questions. Aspirants will have to complete the exam within an hour. However, candidates will have one hour to solve each section. While the mains exam will have four sections carrying a total of 200 marks for 190 questions. Candidates will have to solve the answer in two hours and 40 minutes only. For the wrong attempt in objective tests, there will be a negative marking. One-fourth or 0.25 marks will be deducted for each wrong answer. While no penalty for leaving a question without giving the answer. India Skills Report 2019: Guess which state topped the employability rate list?